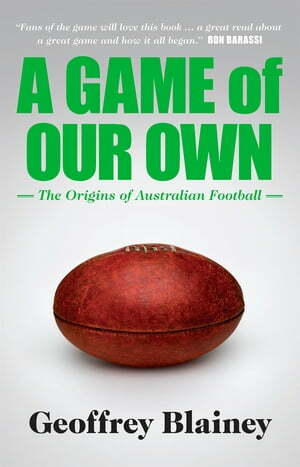 Collins Booksellers - A Game of Our Own by Geoffrey Blainey, 9781921825774. Buy this book online. Geoffrey Blainey is the author of numerous books, including The Tyranny of Distance; A Short History of the Twentieth Century, and the best-selling A Short History of the World. He is one of the few Australians whose biography appears in Encyclopaedia Britannica. Geoffrey is a lifelong supporter of the Geelong Football Club. At the age of 9, he had almost every player’s signature in his autograph book.